Winchell Chung, who provided the cover art for Through Struggle, the Stars, as well as many of the images found on this site, was born in 1957 in California. 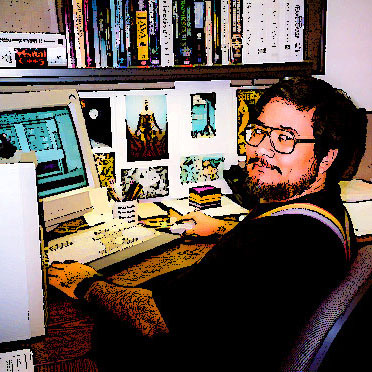 He started out life as a science fiction illustrator, most famously providing the iconic images of the Ogre cybertank for the eponymic wargame. He later gravitated to computer programming, and his lifelong hobby is applying the tools of science to the game of science fiction. This culminated in his Atomic Rockets web site, which is probably the most popular online term paper ever written. He lives with his wife and two adorable, insouciant black cats.